Meet Lindsley Barrios our youngest reporter. She is just twelve years old and she is rocking as a reporter. In the studio, we don’t call her Lindsley, we call her #babyreporter. So don’t be surprise if you see her covering communities events in town. Her next assignment is “Light Up Larchmont” and she will be in the field for the second time. Lindsley is a live example that at #thelocallive, age is not a limit. We treat you as a grown up and we push you to strive for the stars and conquer your dreams as a broadcast journalist. Lindsley is a new face but her story is just one of the many successful stories, we keep in our heart. All our interns and volunteers have helped us to keep growing as a small community news show. In exchange of their volunteer work, they have gained hands on experience in the world of broadcasting journalism. Every time we get news about our interns launching jobs at TV Networks as MSNBC, ABC News, A&E, NY1, CBS, Fios or News12; we celebrate and feel full of joy. We want to keep serving our community and we can only do it with your support. You can help us by spreading the word out about the importance of keeping alive your public access station. You can help us by bringing us more interns and volunteers, or you can consider donating to our cause at http://www.lmctv.org/donate. Learn about our internship and volunteer program and spread the word out! Do you love tv? Do you want to learn how to be a reporter? What about editing and producing? If that applies to you then, this is the right place for you! 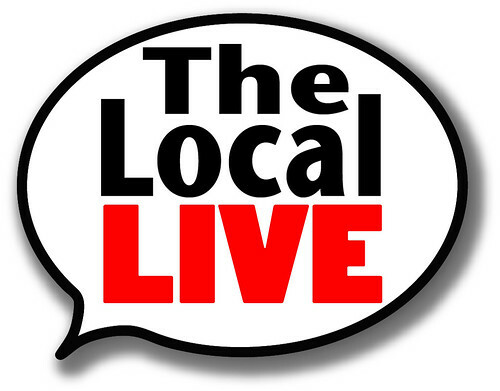 At The Local Live we work with students in middle and high school. We also work with college students and with TV enthusiasts. We only require dedication to learn and a passion for Local News. For those who are interested you can apply for an internship or volunteer opportunity by sending an e-mail to Sheyla Navarro at snavarro@lmctv.org. We want to wish all our viewers, volunteers, interns and our whole LMCTV family a very Happy Thanksgiving! Thanks as well to all our guests, whether you are a public official or a leader at your non for profit, you has helped us to inform our community. We are most importantly grateful for the love that comes from our volunteer news team and from our supporters. Without your help, we could not be on the air. Each year, the Larchmont Mamaroneck Lions Club holds an international peace poster contest in which nearly one hundred countries participated. This year’s winners are Rye Neck student, Griffin Anderson and Saints John & Paul student Shelsey Blanc and Laszlo Somlay, a student at the French-American School. Posters are created by students to express their visions of peace. The winning posters will be submitted to the district-level competition for further judging. The entire award ceremony can be seen on Tuesdays at 9:00 p.m. on the LMCTV channel, which is channel 75 on Cablevision and channel 36 on Verizon. The ceremony is also available on our website, www.lmctv.org. The Saturday after Thanksgiving, which is November 25th this year, is known as Small Business Saturday. The program was established by American Express in 2010. LMCTV’s Christina Carino-Forrest spoke with Laura Bott, owner of the Bott Shoppe in Mamaroneck to learn more and to find out how local businesses can get involved. The annual Turkey Trot, which this year celebrated its 51st year, was held on Sunday, November 19th. Local Live report Lindsley Barrios spoke with Jason Pinto, the Village of Mamaroneck Rec Assistant to learn more about the race. John Cronin is a young entrepreneur with Down Syndrome. He created John’s Crazy Socks to help create opportunities for people like him. He recently visited Hommocks Middle School to show off his latest creation. Local Live reporter Kristy Cappiello was there to cover the event. Half Time Beverages in Mamaroneck has finally received the approval from the Village of Mamaroneck Board of Trustees to allow zoning changes for the construction of microbreweries in downtown Mamaroneck. The authorization would be limited to a section of Hoyt Avenue. Earlier this year, Half Time Beverage partnered with Craft Brewery Decadent Ales to hopefully start a bar and pub within their store. Village Panner Robert Galvin sad that the pitch for Half Time Beverage’s expansion would be announced at the the next Board of Trustees meeting. Construction would be begin following the announcement. Since the approval from the Board, other beer production companies are now interested in moving to Mamaroneck.